Covering the Massachusetts Craft Beer Scene Since 2011. Sign up below and get posts sent straight to your inbox! Subscribe via Email and get post sent straight to your inbox! Stone has brought back a fan favorite for 2018- their typically outstanding Russian Imperial Stout, this time available in handy 6 packs! I've long been a big big fan of this beer. Stone may be more well known for their IPA's, but they really do an outstanding job with stouts as well. As Stone RIS always does, it pours a thick, semi-viscous black, with a tight caramel colored head. Aroma is nice.....modest....roasty goodness....peat moss and notes of burnt chocolate. Mouthfeel is thinner than I recall, full bodied, soft, but not heavy or as thick as it looks. And the taste....oh the taste in marvelous....all that malty goodness, with notes of coffee and chocolate bitter. I found a surprising bitterness at the end for a brief moment, coffee and/or hop bitter, and that threw me for a moment. But I either got used to it, or it mellowed, because it was far less noticeable as I worked through the glass. 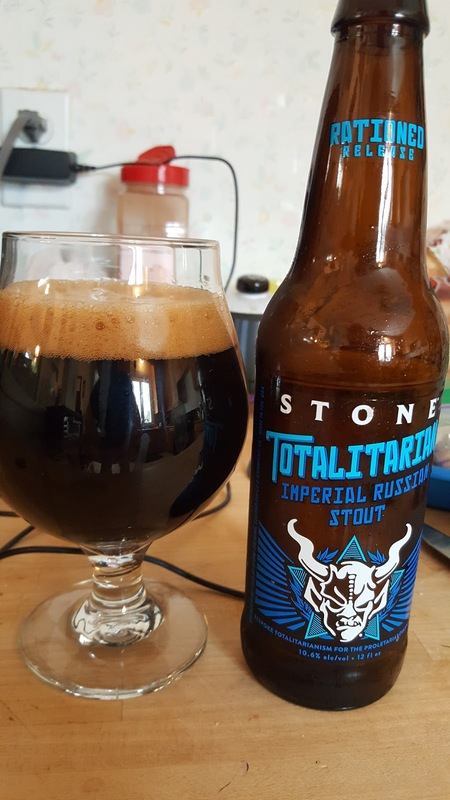 All in all, this is a truly excellent Russian Imperial Stout. I always love Stones take on the style, and their always unique twists that they incorporate (please bring back the Anise version....please? ), like the subtle but wonderful chocolate and coffee I found in this one. At 10% ABV, it's not to be taken lightly. But if you like Russian Imperial Stouts, this one come highly recommended! Exhibit A Brewing's new scotch ale. 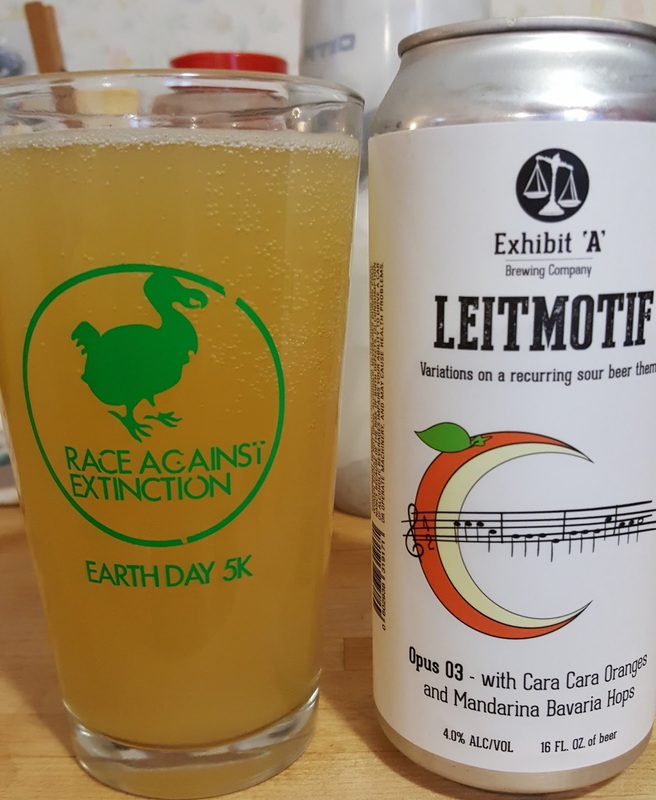 Framingham's Exhibit 'A' Brewing Company recently released a much needed. malty, sweet alternative to the tidal wave of unfiltered, hazy "juice" currently flooding the craft beer market. I give you "We're going to need you to come in on Saturday" Scotch Ale, a masterpiece of malty perfection that could not have been introduced at a better time. The Oxford Companion to Beer has some great information on the style. My favorite section reads as such: "Bitterness levels of Scotch Ales range widely, usually between 15-25 IBU, but hops have never been a focal point of beers brewed in a land where hops will not grow. 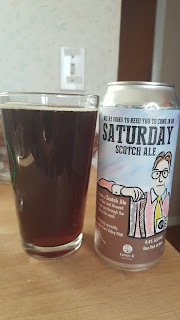 Scotch ale aromatics tend toward rich maltiness, with hop character very much in the background". This is why I love this particular beer, particularly at this point in time of the craft beer revolution. With "hazy", "juicy New England IPA" dominating the craft beer community these days, to brew a beer that's malt heavy and filtered fly's in the face fashion and I love it. 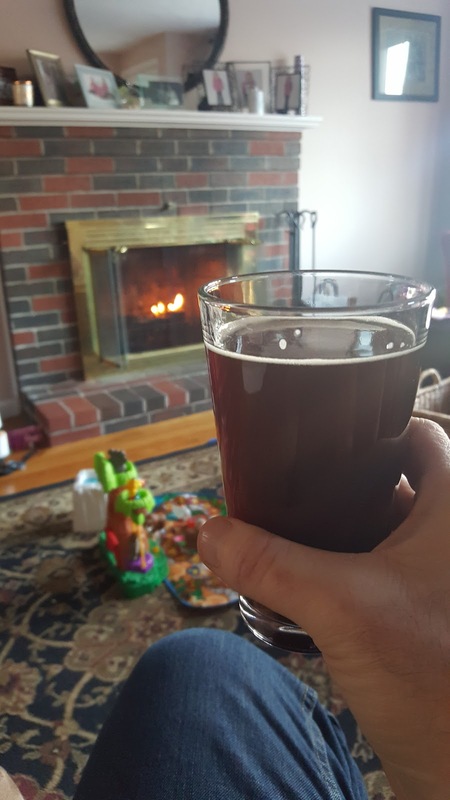 As you can see from the photos, this beer pours a deep reddish brown, with minimal off-white head and minimal head and lacing on the glass. The aroma is indeed malty but not overly sweet. Very subtle notes of dark fruits and caramel are present. 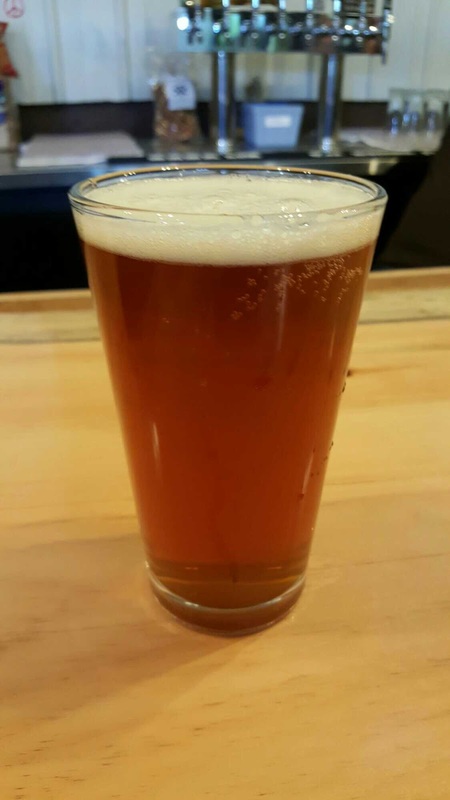 The mouthfeel is full bodied but not heavy, transitioning to sweet and malty flavors of caramel and toffee (? ), sweet but again not too sweet. Finish is dry and clean. This really is an extraordinary beer. For me it truly embodies teh term "wee heavy" ale, and I will be drinking this almost exclusively until it is gone. My only regret is that the Exhibit 'A' web site list this masterpiece as a "one off" brew. Take my advice folks, get down there and try this beer before its gone! What do yo think of malty beers? Have you ever had a "Wee Heavy" ale? Tell me about it in the comments section! 2017 was a year of beer "firsts" for me. 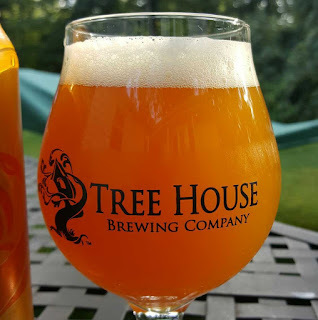 My first Ever trip to Treehouse Brewing in July. My first ever time ever ordering a sour beer, at the Springdale Barrel room on opening night. Yes, I was a busy beer geek, even if I wasn't writing much about it. As it often does, Life interrupts, and 2017 may have a set a record for untimely life interruptions. While I started out attempting to be "IPA Free" for 2017, I failed in July, succumbing to the inevitable IPA weather. 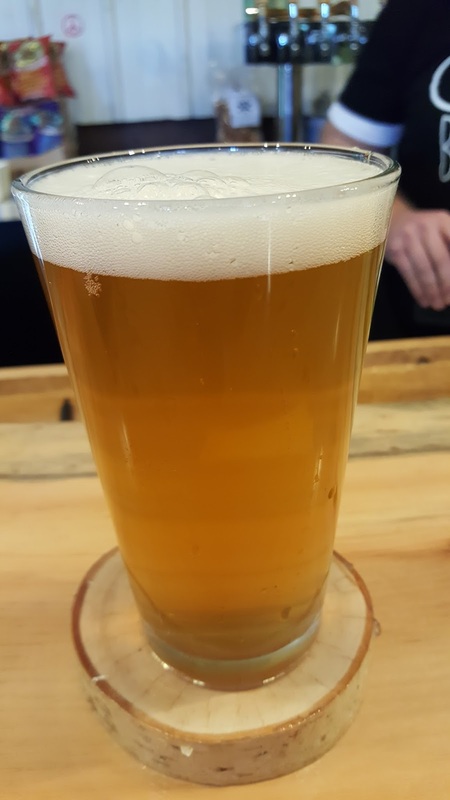 But seven months IPA free is no small feat in today's beer world, and the experiment did push me out of my beer comfort zone and got me to try beers I'd NEVER typically try, like sours. While I'm still not a sour fanatic, I have found several that I sincerely love, and thanks to Meryl at Springdale, I have a serious appreciation for how light and delicate a great sour can be. Pro-Tip- When a great bartender/beer expert offers a tasting, take it. Meryl led me on a guided flight that went through several sours and an IPA and it blew my mind. A properly ordered, guided tasting can be so damn educational.There is so much cool stuff in the beer world, it never ceases to amaze me. So, 2017, \the year in beer. What was it? How would I describe it? Easy, for once. In my mind the year in beer 2017 was very clearly the year of the New England IPA. Yes, I want to gouge out my eyes for saying it, but it's true. The style has been popular since its inception, but this year it just seemed to go to another level. Want a non-hazy IPA? Good luck with that. Want some hop bitter? Sorry, its all "juicy" IPA now. Yes, 2017 was unquestionably the year of the Hazy, "Juicy" IPA. Exhibit "A" Demo Tape 12. My "NEIPA of the Year"
Exhibit A Brewing's outstanding "Demo Tape 12", which, coincidentally, they just re-released! This is the original, photographed in the brewery. Brewed with Mosaic and High Oil Cascade hops, with a grain bill of American 2-Row, Warthog Wheat, Golden Naked Oats, and Caramunich III, THIS beer blew my mind. Think West Coast style meets NEIPA. Not just the best IPA I had this year. Possibly EVER, and I am not kidding. The flavor in this beer is absolutely amazing and unlike anything I've ever had. If you get a chance to try this beer, its a must. An absolute MUST. 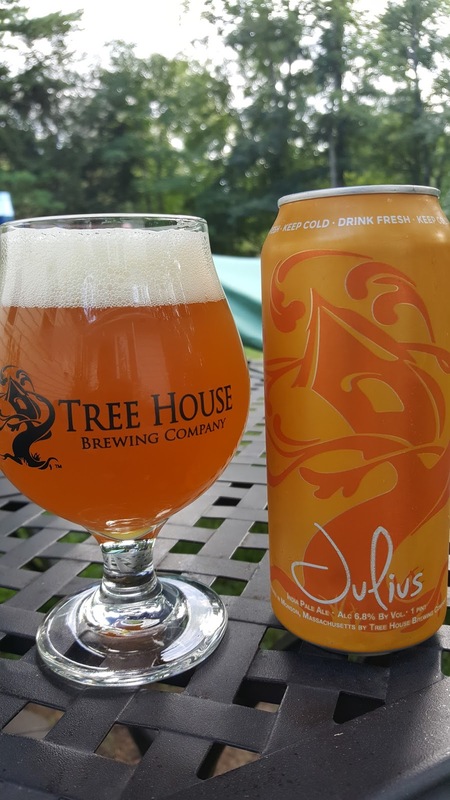 Tree House Brewing's legendary "Julius" NEIPA. It is good. Julius is very, very good. Just because I prefer a different take on the style doesn't mean I don't like it or appreciate it. So please, spare me your hate mail. It's a damn good beer, but I don't love the "juicy" side of IPA. I like more malt balance, some bitter as well. 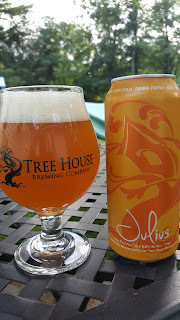 Julius has great flavor, I'd definitely buy it again, but I wouldn't stand in that line again. Standing in line once to experience the craze that is Tree House was a fun one time thing. Their beer is excellent. There were many other NEIPA's I enjoyed this year, but to name one would require me to name another, and well, frankly, there are so damn many. Let's hope this NEIPA thing sorts itself out in 2018. "Hazy", after all, is not an actual flavor (although yes it contributes to it). Great beer can in fact, be clear. What did the year in beer mean to YOU in 2017? Tree House Brewing Company- Standing in line for beer? 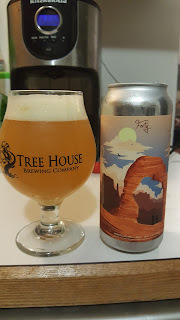 Tree House Brewing Company, the famous Charlton, MA brewery known for long lines for purchasing cans, fanatical fans, and great "juicy" "New England" style IPA's, was a place I had never visited until this past August. Why hadn't I ever visited? Because I have a very firm, long standing rule against standing in line for beer. A little context is probably needed here- why would a self-avowed beer geek intentionally avoid one of the most renowned, revered breweries that was right in his own back yard? Well, for one, I am 43 and have 3 kids. As you might imagine, this takes up a lot of my time. Spending an hour to drive there, then an hour in line, is not something I can do without ignoring family. 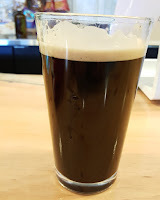 So, despite the fact that I've been drinking craft beer since the early 1990's- when the only real "craft" beer in Boston was Sam Adams, Pete's Wicked Ale, and The Boston Beer Works lone Fenway location- I had NEVER stood in line to get beer. Until August. I decided that it was time to give it a shot. I admit, all the Twitter and Facebook beer feed finally got toe me and compelled me to make the drive to Charlton one Friday evening. Here are my impressions. I arrived at the Tree House just after 2:30, the parking lot was packed and super busy. I found a spot in the lower lot. The police officer directing traffic told me that they had a shuttle running up the hill, which I was very grateful to know as I had a back injury and walking was a bit painful. I waited maybe 2 minutes for the golf cart, which shot me up the hill quickly. I got in line at the back corner of the parking lot, right by the shed at the back right of the upper lot. The line was loooong! I'd guess 300 people or so. I thought of taking pictures, but I really wanted to take in the "experience", watch the crowd, see how the brewery staff managed the line, and really just enjoy what was a really perfect day weather wise. People were cool with waiting in line, and the line really moved fast. I was inside in just under 40 minutes, which I found impressive. The days limits were 6- Curiosity 40, 3- That's What She Said Milk Stout, and 3- Julius IPA. So of course I bought my limit, and two tulip glasses as well. If you're going to enjoy a Tree House beer, do it right, right? I'd be remiss if I didn't pause here to compliment the Tree House Brewery Staff. Every single person I interacted with just AWESOME! Great attitudes, ready to get me what I needed, and super knowledgeable. I was so damn impressed, I cannot tell you. I have 21 years of retail experience, and this staff was possibly the best performing floor staff I'd ever seen. But what about THE BEER!!??? Yes, yes, I'm getting to that. Indulge me, visiting Tree House is really an experience, and I want to share it all! OK, so obviously when I got home, I unpacked my haul from the cooler and cracked open a Julius, and took a seat outside. The beer pours a hazy orange juice like appearance, and an aroma that I found understated for an IPA, almost sweet with citrus notes. Mouthfeel was the first "wow", as it was super, super soft, not something I am used to in an IPA. Taste was superb, bright, fruity, but not bitter. I got notes of peach and mangoes, and a clean finish. I loved it. There is no bitter hop finish, but I didn't miss it. So, the big question- does it live up to the hype? Tough question, for a beer so hyped up. It really depends on your own preferences. But it is a great IPA, worth seeking out. 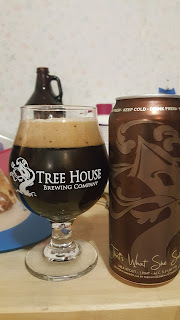 My next Tree House offering was the That's What She Said Milk Stout. Now, THIS was my favorite beer of the three offerings that I was able to get my hands on. Pouring a dark, oily black, this beer is a viscous, thick, malty dream in a glass! Such an incredibly thick, creamy, soft mouthfeel, coupled with an incredible depth of malty, roasted flavor make this beer a top 3 all time stout in my opinion. Any further attempt at description here won't do it justice. This beer is world class! Why it doesn't get the hype of Julius astounds me. And lastly, we have Curiosity 40- an IPA with Galaxy and Simcoe. This is a great beer. Super drinkable with great hop flavor, I hope they revisit this version of Curiosity again. It's a great session brew, although at 7% abv its not really a "session" beer at all. So, to sum up my Tree House experience- waiting in line for beer is not bad if the brewery you are waiting at knows what they are doing. The fine folks at Tree house know what they are doing. I can't wait to try more of their beer, and I am very anxiously awaiting the day when they do pours during all hours! The facility is gorgeous, and I long to enjoy a beer at the pavilion and take in the view. Night Shift "Morph" IPA, Batch #50. Tremendous. Worth it. I knew summer would be tough, but the end came fast. Very, very fast. 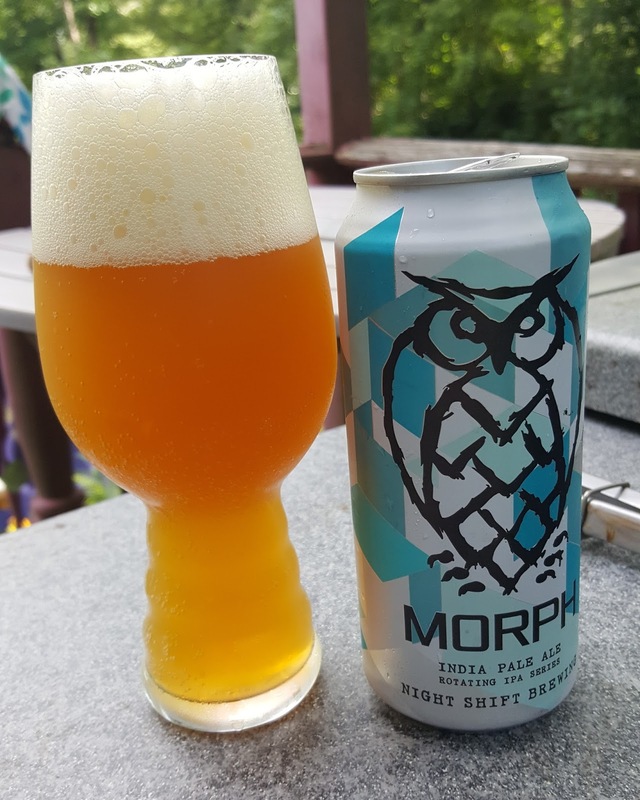 I was at Crafted, searching for a beer, and kept coming back to the cooler and staring at the pretty blue cans of Night Shift "Morph", (Batch #50 for those of you keeping track at home). Sometimes the heart just wants what the heart wants. In the end, the good weather, great offerings, and my love of drinking seasonally appropriate beer did me in. It was time to get back on the IPA wagon. But also, the last few weeks had grown frustrating, and for the exact reason that I started this "IPA Free" experiment. I had given up IPA's to expand my beer experience, and in that regard it was a huge success. I tried beers and styles that I never would have before, and much to my surprise, I liked a lot of them. I now drink sours. That NEVER would have happened had I not given up the hops. I also drank several goses, also not a style that ever intrigued me. I actually found two I liked! But in the end, limiting my beer choices by eliminating an entire style just got too hard. I felt overly restricted, and after almost 7 months (I actually started at the end of December), I had had enough. My beer experience widened, I felt it was finally ok to start enjoying IPA's again. Because honestly, if you are NOT enjoying your beer experience, you're doing it wrong! So, how did it taste, my first IPA in seven months? It was awesome. The batch tasting notes are accurate, so I'm simply copying them here from the Night Shift web site: Morph Batch 50- "A monumental Morph! Idaho 7, Citra, and Waimea hops, plus oats; hazy and soft, with massive grapefruit and orange flavors. (4.5% ABV)". This was a great beer to break my IPA fast with. 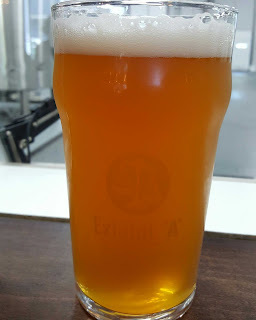 I have more IPA news to share, including a new "demo" IPA that- honestly- might be the best IPA I've EVER had, but that will come in a later post. It's Almost June, and I'm still IPA Free for 2017! OK, I can't lie, it's getting hard to keep up this whole "IPA FREE 2017" thing. As the weather warms, those dank, luscious, hoppy, bitter beers call to me. And it is getting harder and harder to resist. But so far, I can still say that I am IPA Free for 2017. And honestly, it's been worth it- very, very much so. I've had many beers that I would NEVER had tried otherwise. 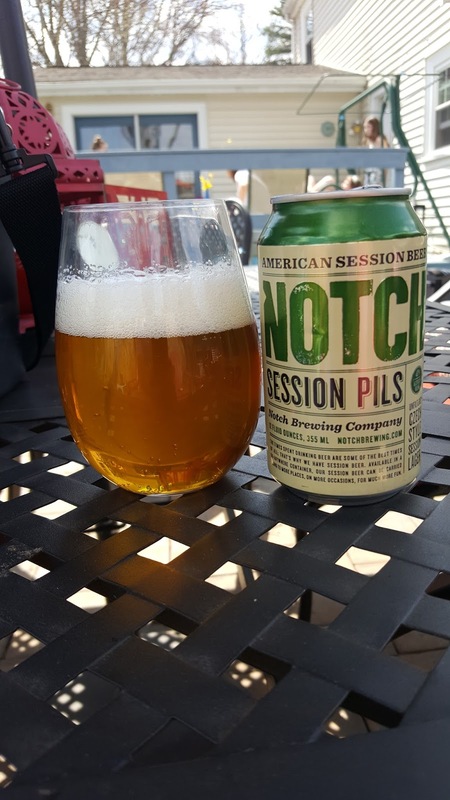 Also, some great beers that I have had previously are getting more attention, like Notch Brewery's excellent "Session Pills". I cannot overly state how absolutely EXCELLENT every single Notch beer IS. But as they really only have the one IPA (Left of the Dial, which is great, incidentally), and specialize in true, low ABV session beers, they don't get the attention in a craft beer world that far too often gravitates to the new, overly hyped, 10% ABV, "juicy" IPA. (Also, I loath the term "juicy" when describing a beer. If you want juice, you are drinking the wrong beverage folks). But if you truly love great beer, and not just IPA, you need to experience Notch Brewing's beers. I've also partaken heavily of sours. I was never a fan of sour beers. Not even remotely. But I gave in and have been trying them frequently lately, and there are some truly excellent ones out there. I won't lie, I haven't enjoyed them all, but I have liked far more than I expected. Had I not given up IPA's, I doubt I'd ever have ventured down the sour path. 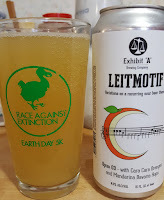 My favorite sour right now is from Exhibit A brewing in Framingham, their rotating "Leit Motif" sour series. This particular version is #03, is made with Cara Cara Oranges and is outstanding. With a low abv and superb refreshing taste, this is go to summer brew if ever there was one. Of course I've had other beers as well, but no IPA's! I have been really enjoying this little experiment in beer. I do love IPA's, I really do. But sometimes we need to try new things. We are living in the golden age of beer, don't limit yourself to one style all the time. 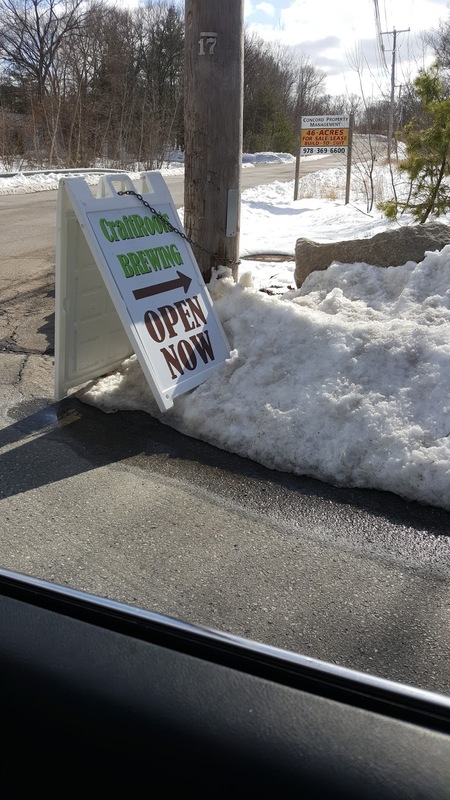 CraftRoots Brewing opened in Milford in March. We now have another great brewery for the amazing craft beer scene we have here in Massachusetts. Founded by Brewer Maureen Fabry, CraftRoots is "passionate about connecting craft beer back to local agriculture and crafting superfresh community-inspired brews" (this is taken straight from their web site). I tried stopping by on opening day, but the line was very long and I was sorta pressed for time, so I had to bail. Turns out the long lines were very much justified, as I learned when I stopped in just after opening on the Sunday right after opening day. CraftRoots Brewing "Dry Irish Stout"
As it was nearing St Patrick's Day, I (of course) started with the Dry Irish Stout. Served on Nitro, this beer was excellent! Smooth, roasty malts, with hints of cocoa. I may have had another, and I may have taken two squealers home. After all, it was almost St Patrick's Day. After the stout, I moved onto the Pale Ale. There were two versions available, one with Apricots, and one straight up. So of course I had both. The regular Pale was great, the apricot was as well, but the apricot was very, very mild, so much so that it almost got lost. Still a great brew, but not much apricot comes through, and as this was a one time brew, don't expect it on tap should you visit. Next I moved onto the Blonde, which was excellent. There were a variety of IPA's on tap as well, but.... as I'm still trying to go "IPA Free for 2017" I had to pass on them. I'm betting they are excellent, judging by the crowds, people were really enjoying the beers. From my seat at the bar, I heard a lot of IPA's being ordered by the same folks over and over, and I spoke to a few folks who spoke very highly of the IPA's. This space is dedicated to beer resources- favorite beer blogs, and web sites dedicated to good beer. Gary Dzen of Boston.com writes a great beer blog called 99 Bottles. Check it out. 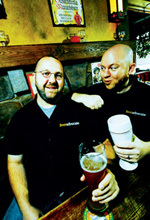 Yankee Brew News is a cool bi-monthly newspaper about the craft beer industry. It focuses on the Northeast. Look for it at liquor stores and restaurants. What beer is that in the title photo? 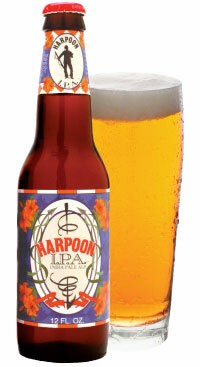 The beer pictured here is a Harpoon IPA, the preferred beer of Man Drinks Beer.